I want to talk to an ADS8698 over SPI (see page 36 for details on their SPI implementation) using a Teensy 3.2. 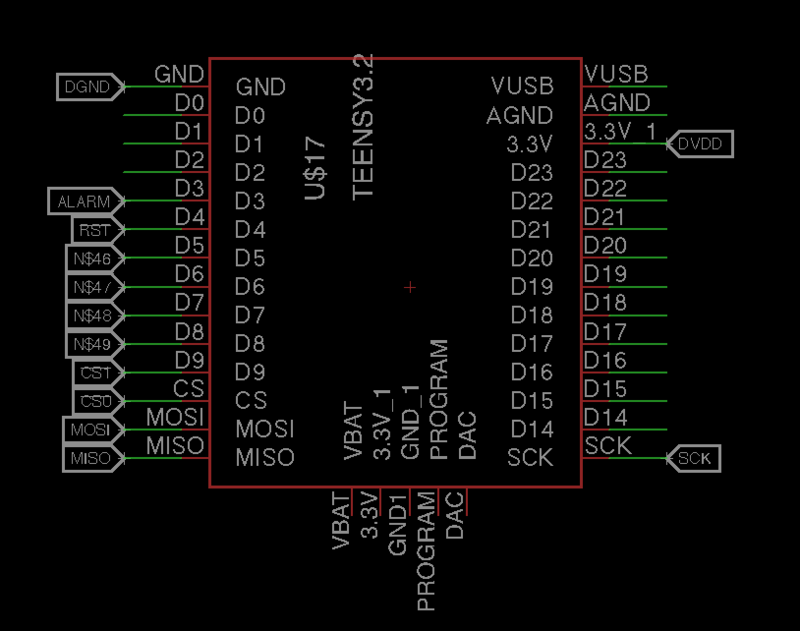 Right now I'm only getting zeros back and I feel like (perhaps wrongly) that I've followed the datasheet correctly. I believe my SPI mode is correct and, given the clock rates I'm using, I should be observing the timing constraints properly. (1) Is there a glaring error here? I haven't coded that many SPI interfaces, so I might have a novice mistake in there. (2) Is there existing code for a product that uses a nearly identical SPI interface to the ADS8698 (any product that has a similar timing diagram would do)? During power-up or reset, the default content of the command register is all 0's and the device waits for a command to be written before being placed into any mode of operation. Not the answer you're looking for? Browse other questions tagged spi teensy or ask your own question. Why is the output on the MOSI line shifted 1 bit over from what I commanded?